Anthurium Andraeanum is an extremely popular species of flowering plant from the Araceae family. There are between 800 and 1000 known species of anthurium, but Andraeanum which is also commonly spelled Andreanum is by far the most popular and most commonly grown species. 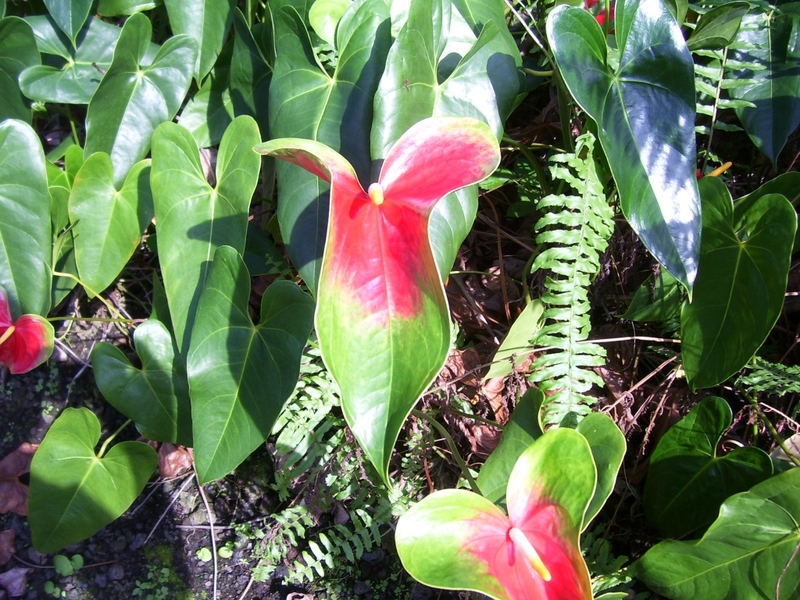 Various Andraeanum cultivars form the core of the anthurium flower industry, which started back in the late 1940s in Hawaii. Anthurium, tail flower, flamingo flower, cresto de gallo, cockscomb, anturio and boy flower. But anthurium is the common name that is used most widely. Antherium, anturium, arunthium, anthorium, anthiriums, antariam, antorlium, anthuriam, anthrurium, anthirium, anterium and antorium. These plants are native to Central and South America, however many of the original cultivars were initially developed in Hawaii. They produce 6 to 12 heart-shaped flowers a year in a wide assortment of colors. Plants grow to an average of three feet tall, though they can grow much taller in the proper environment. They produce heart shaped leaves that can range from 8 to 18 inches long. It flowers year round in tropical conditions and seeds are unlikely to be produced on indoor plants without manual pollination procedures. Outside of the tropics, it can be grown in most parts of the world as a potted houseplant. Proper anthurium care starts with using a very well-drained potting mixture. And remember to put a layer of pot shards, marbles or gravel at the bottom of the pot to further ensure good drainage. Bright light is required, but direct sunlight can burn these plants. They require consistent watering throughout the year and they do not go dormant during the winter. Ensure that they are not exposed to temperatures less than 60 degrees for any extended period. They require high humidity or frequent misting with water. Repot every two years and utilize a thin layer of sphagnum or peat moss on the surface to retain a little moisture. 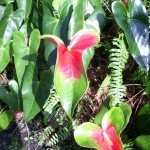 Anthuriums can be poisonous to humans and pets. They contain Calcium oxalate which can cause oral irritation and difficulty swallowing, so keep them out of reach of children and pets. If you keep your plant in a cold location and the leaves of your plant develop dark spots, you should try moving it to a warmer area. This can be caused by excessive exposure to sunlight. If your plant is in a very sunny spot, try moving it to a location that receives less sunlight. If your plant is attacked by scale insects, mix a mild solution of soap and water and use a soft cloth to wipe down the leaves of your plant. This may be caused by a fungal infection that is affecting the roots of your Anthurium Andraeanum. Prevent this from occurring by using a well drained potting soil and being careful with your watering. If this has already occurred, try repotting into a well drained soil and trimming away diseased portions of the plant.